There are lots of new things happening at the Winterset Art Center, and we’re gearing up for a great fall season! Just in time to share all those dates and information with you, as well as details of our 2017 membership drive, we have launched a new website to help get the word out to the public about all we have to offer. We hope you’ll join our email list so that we can keep you up to date on our current offerings. You can also check the News page of our website to find out what’s new. 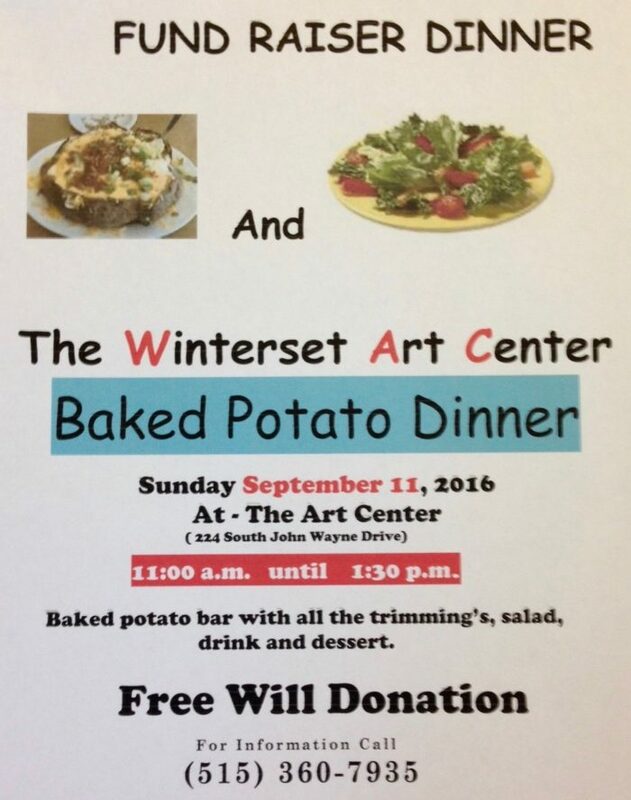 We look forward to seeing you this Sunday from 11:00 to 1:00 for our Annual Baked Potato Dinner. It will be a great opportunity to tour the space and start your 2017 membership 3.5 months early — BONUS!